100 % Cotton. 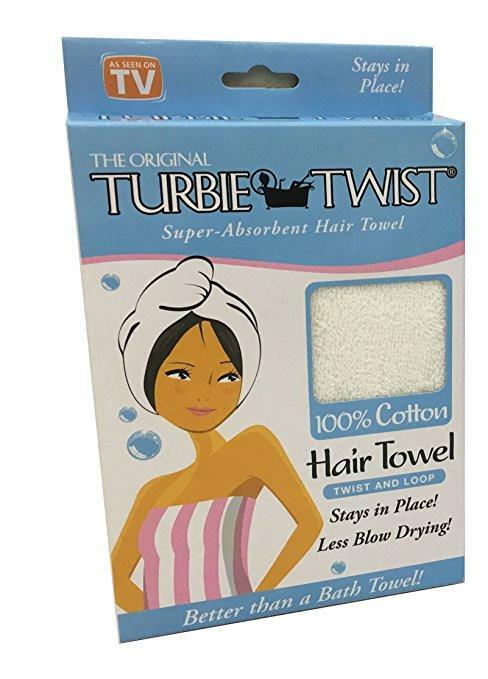 Turbie twist is the original super absorbent hair towel that stays in place ! Featuring a unique tapered design , the Turbie Twist allows for a perfect fit on all head sizes. It's functional, comfortable and lightweight ! Less Blow Drying = Healthier Hair !